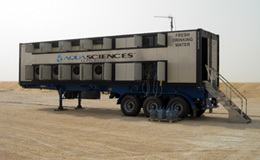 Unit designed for disaster relief and on-site water production in challenged areas. The enclosed self-sustaining unit can produce water without additional power or fuel for up to 1 week yielding up to 2,600 gallons of water per day. The unit shell meets specifications for standard shipping to allow for cost effective deployment. Humanitarian Agencies, Disaster Relief Organizations, Foundations / NGO’s. Oil, Gas and Mineral exploration sites. Micro Water Plant (Solar) The Solar water plant captures heat generated from solar panels as an integral part of the system. Minimal additional power is needed to cool part of the system and for pumps and fans. Humanitarian Agencies, Disaster Relief organizations, Foundations / NGO’s. 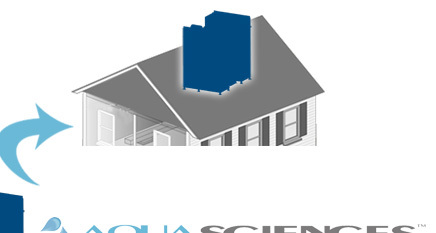 Water Farm Aqua Sciences has developed plans to build large scale water facilities capable of delivering in excess of 100,000+ gallons per day. 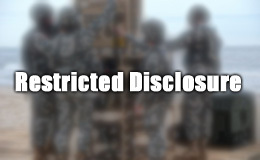 Local Governments, Private Companies, Disaster Relief organizations, Foundations / NGO’s. The core of our revolutionary technology is the Water Generating Module, this technological marvel can extract water from the enviroment in even the most extreme climates. Several applications and products can be derived from this technology. 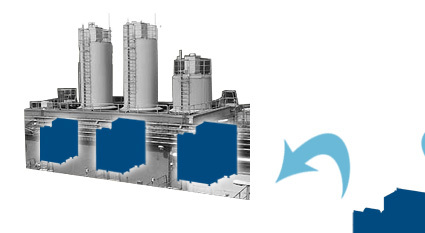 Single modules are added to raise the water generation capabilities of any system. The applications for this technology are limited only by budget and human imagination. Water Farm: Aqua Sciences has developed plans to build large scale water facilities capable of delivering in excess of 100,000+ gallons per day. Rooftop Oasis: Aqua Sciences has adapted its movable plants to deliver water to stand alone residential or commercial units. The Rooftop Oasis can be scaled to meet our clients’ needs. 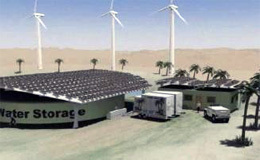 Added Value: Our technology may be supplemented with alternative energy sources such as Solar / Wind / Geothermal. 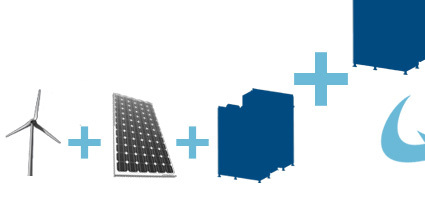 Systems that utilize solely renewable energy sources lower production costs. These products can be scaled to any size and can be utilized for both mobile and permanent applications. Emergency Water Station: Unit designed for disaster relief and on-site water production in challenged areas. 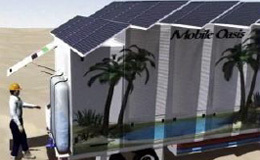 The enclosed self sustaining unit can produce water without additional power or fuel for up to 1 week yielding up to 2,600 gallons of water per day. The unit shell meets specifications for standard shipping to allow for cost effective deployment.